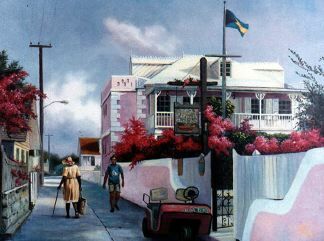 Artists of Abaco, Bahamas / Collection of Abaco Art by those who live there and those who wish they did. This page was originally created 2007 and updated through 2017 when we ceased maintaining it as many of the linked websites no longer function. Still it's pretty and the artist info is interesting. Be sure to hit the refresh button for all new images. by Artists who live there and those who wish they did. Here, Phil Capen captures the island spirit as he should with property on Green Turtle Cay. - Glicee and offset prints. Hope Town and its environs (above). 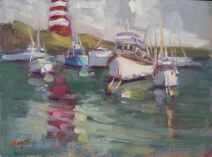 Three oils by impressionist Karen Hewitt Hagan. 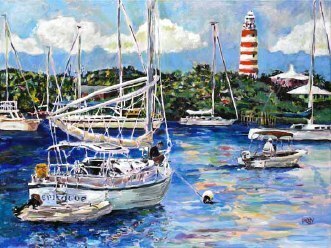 Karen lives with her husband aboard their boat splitting their time between southern coastal towns and the Bahamas while putting their reflections to canvas. 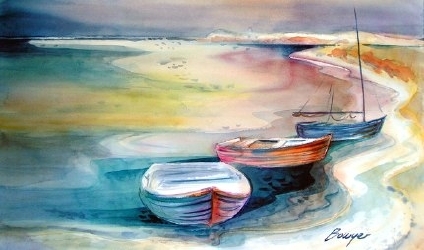 These lovely watercolors are by Brigitte Bowyer Carey whos Studio is on Tiloo Cay (by apt only). 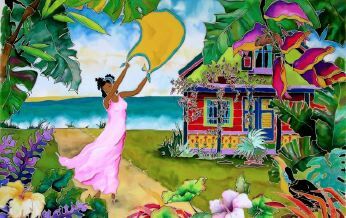 Her pictures are displayed at the the newly opened (2013) Hummingbird Cottage Art Centre a charmingly restored Loyalist cottage in Hope Town. Jonathan Bethel is a Nassau born Bahamian. 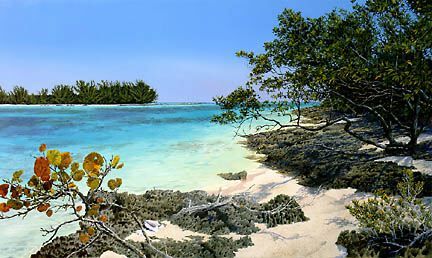 But it was while at college at Clemson Univ, away from home for the first time, that Jonathan really developed his appreciation and love for the beauty of the Bahamas. 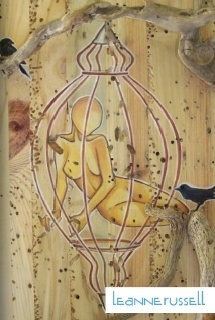 which he captures in his work (acrylic on canvas). 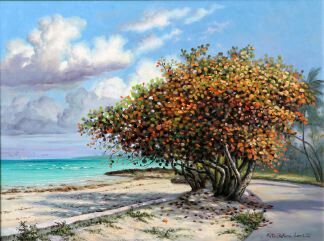 D. Michael Adams left Colorado and settled in his home/studio Oceansong on Guana Cay which provides inspiration for his work in multiple mediums. 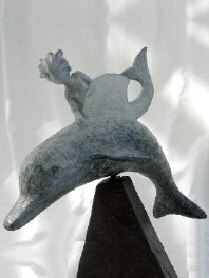 A few of his sculptures are shown here which are on display at Conch Pearl Galleries. Green Turtle resident Karen McIntosh sets up shop near Treasure Cay's resort. 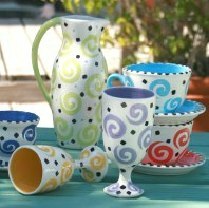 Known as Abaco Ceramics, she designs and produces the pieces seen above and more and ships to clients world wide. Karen came to the Abacos in Ô71 because of the calling of her father an Anglican Minister. She studied pottery and at her dad's urging bought the old pottery shop. Although not the shops odiginal owner, Karen has been there for the last 30 years. 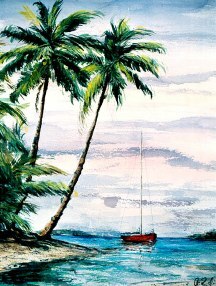 Her designs reflect her unique artistic talent all with a tropical flair. Her dies, she told us, are limited to those that contain no lead, so you will see nothing red in her collection. Swiss born Christine Sawyer began working with wood and recently started experimenting with local Bahamian Pine Needles after she moved to Abaco. 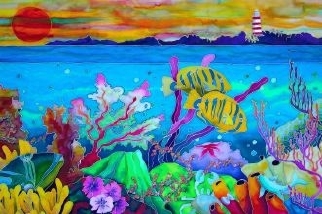 "ThatÕs when the colors of the beautiful Bahamas Islands inspired me to get creative". 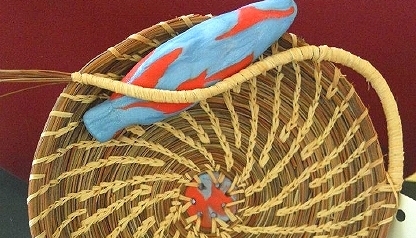 Native Americans used pine needles to weave baskets, but Christine's technique incorporates the use of polymer clay and raffia to create unique pine needle art pieces, bowls and jewelry. I must preface my remarks by saying Im not an artist. Id describe myself as an Island Hopper who fell in love with the Abacos. This no doubt has happened to scores of others. The Abaconian geography, its waters, wild life, people, colorful homes and settlements, are the stuff of art - an inspiration for the craft. Colorful seaglass having been tossed about for years inspire artisans in the craft of making jewelry. 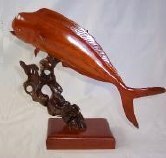 Still others, the descendants of the early Abaco boat builders, have taken to woodworking and carving models of their pioneering boats along with other wooden sculpture. 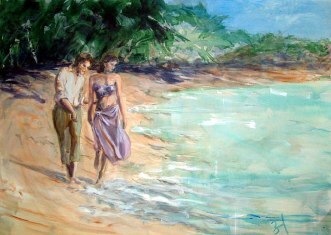 The purpose of this page is to bring to your attention a few of the artisans who have captured the élan of these islands. 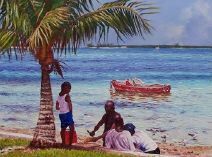 Some of the artists were born and raised in the Abacos like Alton Lowe of Green Turtle Cay and the bronze sculptor Pete Johnston who's father, a Canadian, was ship wrecked in the Abacos in the 60s in Little Harbour where he settled and Pete still lives. He continues in his father tradition only adding gold jewelry to his repertoire and aided by his two sons who have recently come aboard. 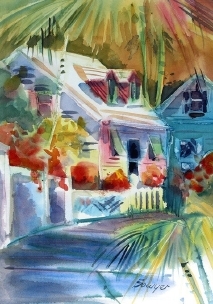 Other artists have come as visitors to Abaco, fell in love and settled adding a studio to their home. 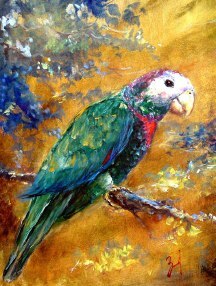 Many visit and return seasonally to capture its beauty in oil or water color adding new impressions to their medium of choice. Some of the latter group even make their home afloat. 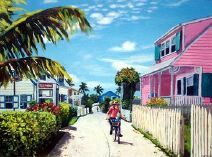 Many artists have their own website or Facebook blog, others are represented by galleries, still others can be found hanging on the walls of the Abaco resorts and restaurants. Finally, many belong to an organization established to bring awareness to the Abaconian Community of Artists and sponsor events promoting local charities. 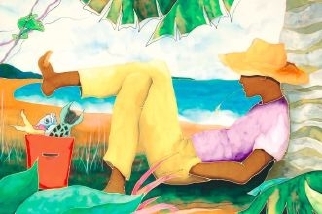 2008 saw the arrival of a newest association of artists called Abaco Island Artists who's mission is outlined above. Check their sites calender for scheduled events. 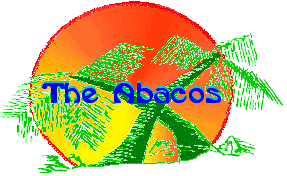 This web page is intended to foster all the aforementioned, those who live or spend a fair amount of time in the Abacos. This includes Non-Bahamian citizens with work permit to show and sell their work. Artists who just come to town with a "box of goods to leave at outlets" and return home are not shown here. That said, the two non Abaconian artists, Phil Capen and Tripp Harrison are the exception due to their commercial popularity. 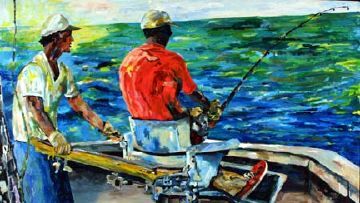 Their litho and glicee reproductions are widely distributed in stateside art stores, frame shops and decorating outlets. A couple are shown at the left. 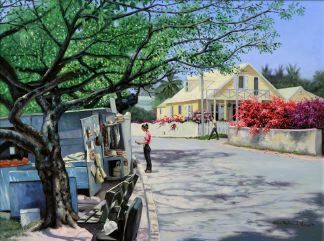 Art shows pop up all the time in the Abacos. 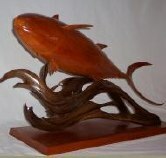 The Most widely recognized art show is the Annual Abaco Beach Resort Art Festival,Ê generally the last weekend of January or first weekend of February.ÊTheÊHope Town Harbour Lodge show is always the Friday after Thanksgiving with the Abaco Inn hosting their show just around Easter time.Ê These shows are the "gold standard" for artists in Abaco. 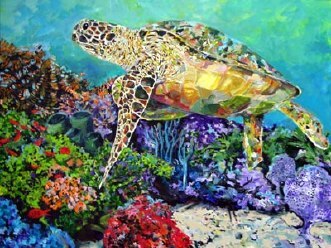 Heritage Days in Green Turtle Cay (late May) also offers an annual art and craft show.ÊAnd finally another event that comes to mind is also at the Green Turtle Club and falls sometime between mid March and early April, where a percentage of the proceeds go to Abaco Cancer Society. For other events check the online pages of the Abaconian Newspaper or inquire at one of the Abaco bulletin boards. Not all of the artists mentioned here provide a website for further perusal. 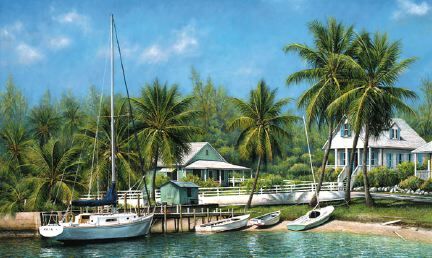 A case in point is the classically trained Abaconian artist of Green Turtle Cay, Alton Lowe. (Paintings above and below.) 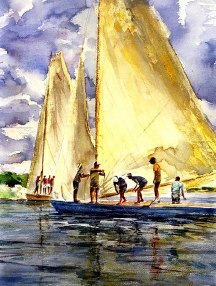 He is the son of boat builder and museum founder Albert Lowe. Since he has no web presence of his own, youll just have to stop by his gallery outside of New Plymouth which is housed in his lovely home set on a hill at the end of Black Sound. On the grounds is a small amphitheater for the performing ensembles that pass through a couple times a year. Alton work can be found world wide. He has even been called upon by the Bahamian Government for his artistry in the creation of a series of postage stamps. The same applies to Alton's wood carving brother, Vertrum Lowe, who followed in his father's footsteps and continues to keep the model boat tradition alive. He also has a shop in New Plymouth. 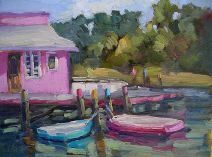 Most folks visiting the Abacos usually pass through Marsh Harbour so be sure to visit the galleries most of which feature one or more of the artists on this page. There is the Conch Pearl Galleries where you can find Bahamian art, sculpture, wood working, fine jewelry including that made of the elusive conch pearl. 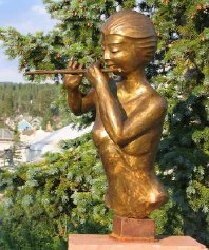 The Blue Sky Gallery can also be found in town and again features many local artists and fine craft. 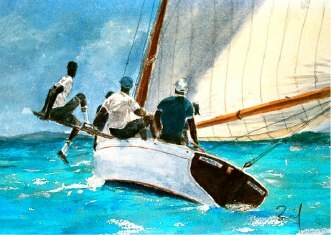 Kim Rody, (pictures above) can often be found living on her boat Orion in Hope Town that winter, and travels in summer. 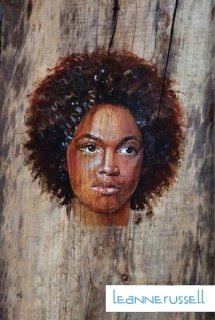 Her paintings and glicees are found in hotel lobbies in the Bahamas and Florida. 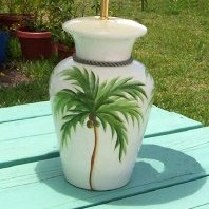 Look for her work is shops in Marsh Harbour, Hope Town, Green Turtle, or visit her Website. 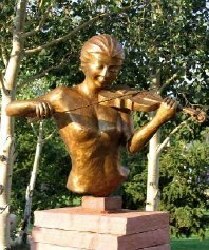 Bob Zwickel is self taught and a self described renaissance artist, sculptor, designer-photographer. 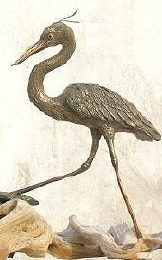 He is also a Little Harbour resident where he offers workshops. But rather than duplicate his biography here, why not go to his website. Above are a few of his works. 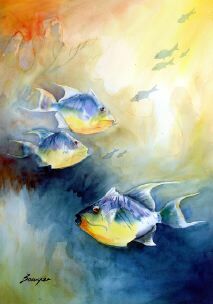 Another local artist is Marjolein Scott whose medium of choice is watercolour on silk. 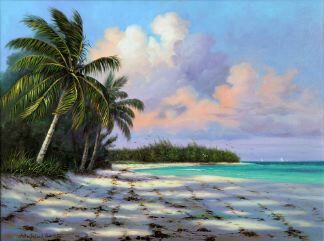 She lives on the Island of Abaco and goes by the pen name Barefoot Contessa. There is much more to the Contessa's art than can be said here. So check out her website. 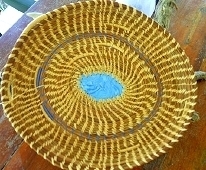 Finally, as mentioned, in the Abacos they are numerous artists who work with wood. Perrec Petry is one of those. He took us to his studio outside of Hope Town on one ocasion where we saw some of the above pieces in their embryonic stages. His commissioned works are found world wide. 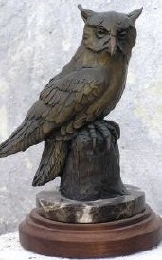 In addition to Mr. Petry, Man-O-War has their own resident master of wood carving. You might even find him in his store, and that would be Joe Albury who's been selling his handcrafted items for years. 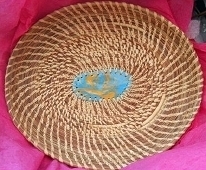 One thing we found out; all Abaco wood working is done on local hardwood or an occasional piece of driftwood. 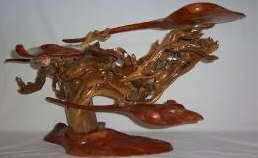 There are still other artisans who specialize in "wood turning" and whose work you can find at one of the galleries or gift shops. 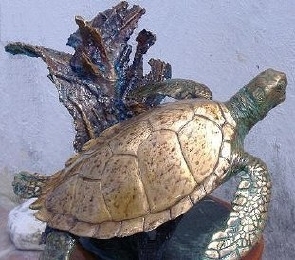 Here are just a few of the bronzes from Pete Johnston's Gallery in Little Harbour. Pete also designs and fashions gold jewelry some of which can bee seen on his website. Finally, also on display in the gallery are some of the original works of his father Randolph including his famous "Nine Ages of Man". 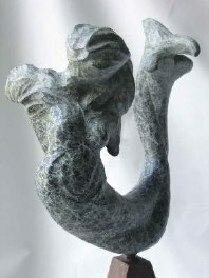 Once a week a casting is open to the public. Check his website for dates. 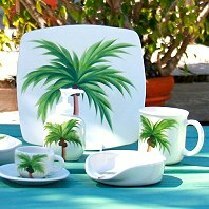 mæter design is the creaton of local Bahamian artist and designer Attila Feszt who captures the essence of island life using original pattern designs inspired by its pristine natural beauty. 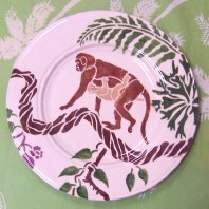 His designs have been printed on a variety items but textiles are the first potential medium used as a vehicle for this journey, others may include paint, ceramics, paper and wood. His designs are featured as the logos in many local businesses. Leanne Russell is an island girl who grew up on Green Turtle Cay and attended college in Halifax. After a short sting in the hospitality industry, Leanne "found herself driven by the urge to create" eventually obtaining commissions from as far away as Australia. 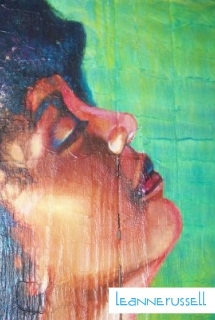 She works in water color and acrylic on canvas and reclaimed materials.